← S’Now Fool That One! December 23 means Tib’s eve in Newfoundland, Canada. I’d never heard of this either, until last year, anyway. Tibb’s Eve, also known as Tipp’s Eve, Tip’s Eve or Tipsy Eve, originated on the south coast of Newfoundland. 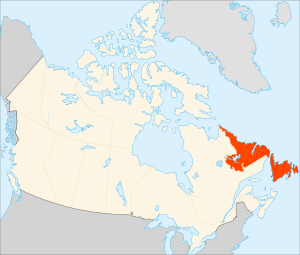 It’s also widely recognized in other parts of the province stretching from Port-Aux-Basques to St. Anthony. The term is substantially less well known on the more urban avalon portion of the province. The wild festivity started sometime around the mid-20th century as the first night during Advent when it was appropriate to have a drink. Advent was a sober, religious time of year and traditionally people would not drink alcohol until Christmas Day at the earliest. Tibb’s Eve emerged as an excuse to imbibe two days earlier. According to Dr. Phil Hiscock of Memorial University’s Folklore Department the tradition of celebrating Tibb’s Eve is similar to 19th century workers taking Saint Monday off from work. To read more about this crazy celebration, I suggest clicking your way to Newfoundland Heritage and the Southern Gazette. You always have such enjoyable BiteSize Canadian information. It’s be Tib’s Eve before anyone else can equal your findings! Happy New Year! wonderful information. Merry Christmas and happy new year. May the magic of the season follow you and yours into 2014! Mon amie, Teri. Merry Christmas! Sending warm hugs to you and Rufus. Love and Prayers, Perpetua. Aye, I thank you, Perpetua! And I wish you the merriest ever for you! I have never heard of this saying. Not surprised, Canada is a diverse and beautiful country full of history and unique things. Thanks for making me smarter. Heehee …. 🙂 thanks for the link, too!